From the peaks of Nepal to the shores of Senegal, different communities face similar issues of food security. To face global challenges and empower the population living in the least developed countries, there is a need for solutions that are locally sourced, sustainable and easily reproducible. 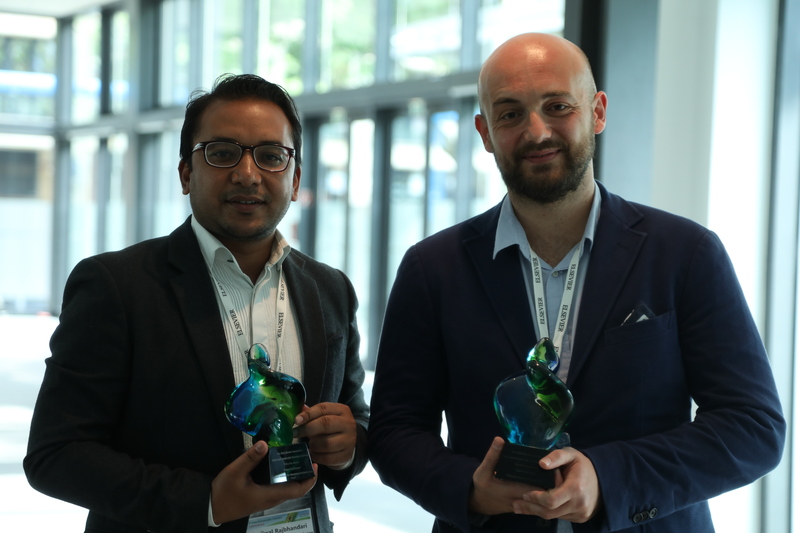 The two winning projects of the third Elsevier Foundation Green and Sustainable Chemistry Challenge, which is jointly run by the Elsevier Foundation and Elsevier’s chemistry journals team, do just that: they propose innovative solutions to use guava leaves against food spoilage in Nepal, and to extract natural fertilizers from fish byproducts in Senegal. Prajwal Rabhindari was already thinking about to how harness the qualities of Nepal’s natural products in 2014, when he attended a food biotechnology training program in Beijing. Besides medical and cosmetics applications, how else could his country’s natural resources be used? And more importantly, how could it be done in a way that is sustainable and simple enough to be adopted by local communities? The answer, he discovered, was really close and came to his wife Rojlina Manandhar, also a researcher, who suggested focusing on food loss due to spoilage in grocery stores. Maybe guava leaves could be used as natural preservatives. His winning project, “Guava leaves as natural preservatives for farmers of Nepal,” which was awarded the €50,000 first prize, aims to minimize post-harvest food loss that affects smallholder farmers: up to one third of Nepal’s food resources are lost in spoilage, which is hugely problematic for a developing country whose major economy relies on agriculture. In the lowland Terai region in southern Nepal, and in the mountain areas especially, long distances from local markets, strikes and frequent power cuts create harsh conditions for farmers and vendors. To extend shelf life, fungicides and chemicals preservatives are commonly used – but there is increasing demand of natural alternatives. That’s why Rabhindari and his team at the Research Institute for Bioscience & Biotechnology are working on a project to formulate water-based leaf extract of guava plant, which possesses antioxidant and antibacterial properties.